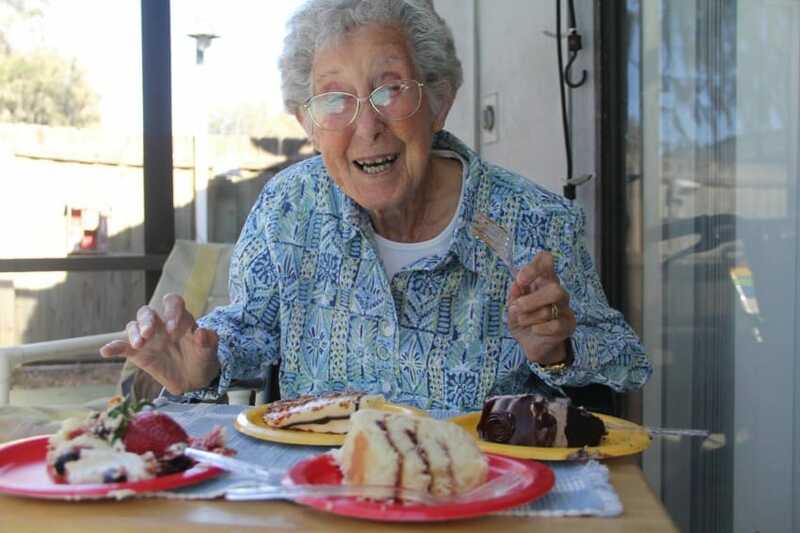 After 13,000 miles and 75 locations in 32 states, Norma – the 91-year-old Nurse who chose to take a road trip instead of spending her last days undergoing chemotherapy – has passed away. 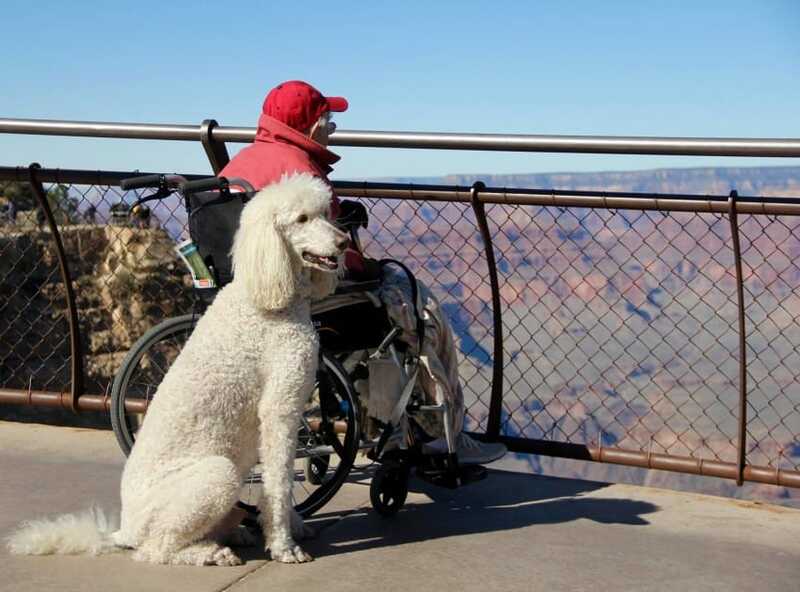 This fun loving lady lived the last year of her life in an Airstream trailer with her therapy poodle Ringo, enjoying the sights of our lovely nation. Keep reading to learn more about Norma and see photos from her journey! In 2015, 90-year-old Norma Bauerschmidt found herself in the hospital, listening to a doctor explain the treatment options for her recently diagnosed cancer. Now, more than a year after issuing that powerful statement, Miss Norma’s journey has come to a peaceful end. Norma Bauerschmidt died at the age 91 in home hospice care from complications of stage four uterine cancer. 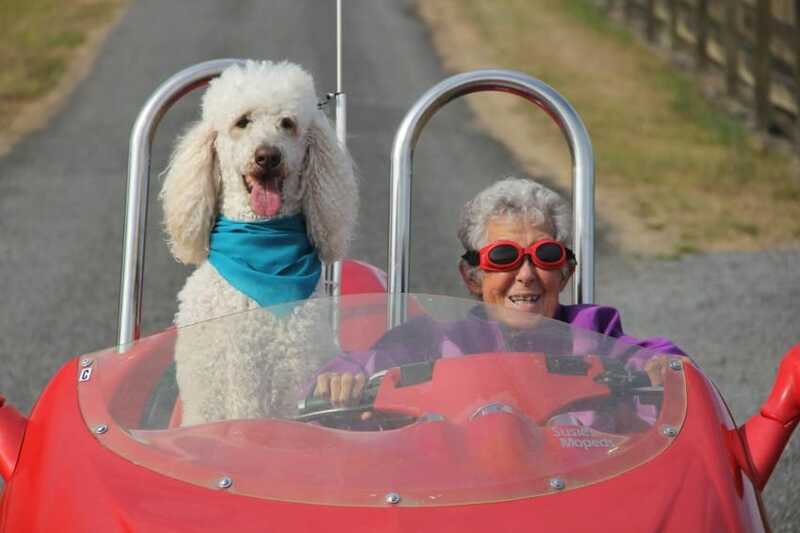 She became a worldwide icon for living life on your own terms when she famously rejected medical treatment for her cancer, in favor of going on the road trip of a lifetime. She is survived by her son Tim and daughter-in-law Ramie, who were both instrumental in giving her a truly extraordinary last year. Scroll through the gallery below to learn more about how Miss Norma took life by the reins, and inspired millions along the way! In the summer of 2015, Norma Bauerschmidt made a decision that touched the lives of millions, when she lost her husband and found herself diagnosed with cancer in the span of just two weeks. Bauerschmidt’s husband of 67 years, Leo, was admitted to hospice just as Bauerschmidt herself was undergoing a series of medical tests after her doctors noticed blood in her urine. On July 7th, Leo Bauerschmidt passed away after lingering in hospice care for two weeks. Two days later, doctors confirmed the results of Norma’s tests; she had stage four uterine cancer. It’s easy to speculate about what happened next; perhaps if Bauerschmidt hadn’t just lost her husband, or if she’d been ten or even five years younger, she would have chosen to go ahead with chemotherapy, radiation, and surgery. She refused treatment, and decided that with the amount of time she had left, she was going to spend it living her life to the fullest! Her son Tim and his wife Ramie had retired to a nomadic lifestyle in their vintage Airstream trailer years before. 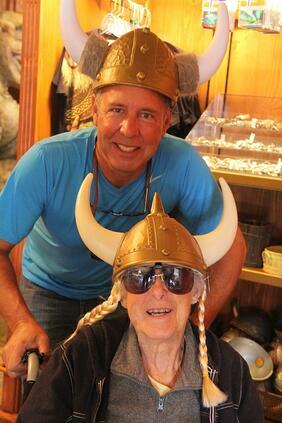 They invited Bauerschmidt to join them, and set off all together on the adventure of a lifetime! Bauerschmidt and her sweet therapy poodle Ringo got their very own trailer suite hitched to the back of the Airstream, and Ramie set up a Facebook page for fans inspired by Bauerschmidt’s decision to follow along. With Tim and Ramie leading the way, the 90-year-old began a grand tour of the country, stopping to see every site she ever dreamed of. She went from Niagara Falls to the Grand Canyon, visited the Jolly Green Giant in Minnesota, and collected sea sponges in Tarpon Springs, Florida. Everywhere she went, Bauerschmidt — often called “Miss Norma” who was in a spoof on the film Driving Miss Daisy — made sure to share her infectious smile and enthusiasm for life with everyone she met. She traveled as a young woman when she worked as a nurse during WWII. 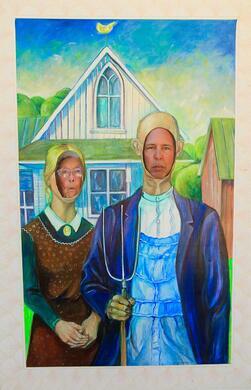 In the intervening years, however, she settled down in Michigan with her husband to raise their family. Faced with the uncertainty of a stage four cancer diagnosis, she made sure to experience each of her adventures with joyful enthusiasm. After all was said and done, she spent more than a year on the road, crisscrossing the country from east to west and back again. To mark the anniversary of Miss Norma’s grand adventure, Tim and Ramie took to the Facebook page in late August 2016 and thanked everyone that helped them and show the world how precious that time was for everyone involved. “We have driven the RV nearly 13,000 miles and slept in over 75 different locations in 32 states. Miss Norma has experienced more “firsts” than we can count. Big things, like riding in a hot air balloon or on a horse, to little things like getting a pedicure or having her first taste of key lime pie, oyster, and fried green tomatoes. Over these past 12 months, all of us learned so much about living, caring, loving and embracing the present moment. 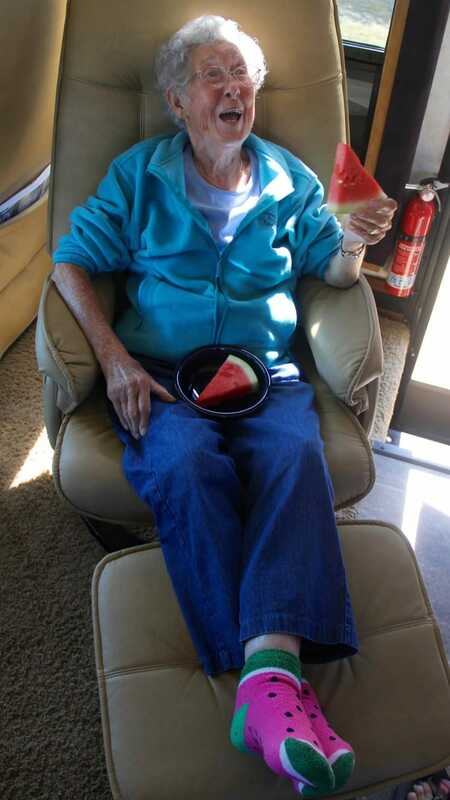 As Tim and Ramie helped Miss Norma celebrate her one-year anniversary of hitting the road, they were also acknowledging that their adventure might be drawing to an end. Bauerschmidt’s health was deteriorating. They knew that now, after a year of adventures and firsts, she had seen, well, just about everything. At 90, the WWII WAVES Navy veteran — who once had her service benefits checks hand-delivered by her congressman, Gerald R. Ford, after they were delayed — got to tour the U.S.S. Gerald R. Ford in style. She saw whales in the Pacific North-West and ate as much cake as she could; by any description, that’s a great way to spend a last year. In August of 2016, Bauerschmidt attended the San Juan Country Fair, and went into hospice on the same day. She passed away on September 30th, not in a hospital, but in the trailer she called home for more than a year — her end-of-life care was molded to fit her unique lifestyle and extraordinary final year of seeing it all. All we can say is, thank you, Miss Norma, for showing the whole world what living really looks like. If you’re touched by the incredible story of the woman who learned she was going to die, and decided to live, make sure to SHARE in memory of Norma Bauerschmidt.